Crack Dog (1988): Who or what is dog's best friend?! For a shot-gun toting pizza deliveryman and his cocaine-addicted canine, the answer is "Crystal" clear. Thugs, dope dealers, and wall street junkies alike, bewate of dog ... on drugs! Don't Nag Me (1987): A disturbed war vet shuts up his pestering wife... for good! But being dead and buried does not make her any less of a nuisance. He might have won the battle, but there's still one hell of a war to be waged! Bowl of Oatmeal (1996): Shuttered in his Manhattan apartment, a lonely man begins taking advice from his well-intentioned bowl of hot breakfast cereal. The oatmeal suggests a hobby, yet what could the man possibly be doing with 200 pounds of stolen raw meat?! The Principles of Karma (1996): For a bored slacker punk living in a mundane suburban hell, even his daily high-school beatings offer little excitement. So when the Youth Liberation Front comes a 'knockin', you better be sure he tags along with these ski-masked anarchists for an ultra violent joy ride. Cutting Moments (1997): In the center of a monotonous suburban existence, Sarah lives silently and in subservience to her icy husband Patrick. They have been together far too long, and Patrick's affections for his wife have all but vanished. Instead, his sexual urges are tempting him to lust after their own son. Realizing how far gone her husband is, Sarah undertakes drastic, shockingly sickening measures to salvage some sense of her life and purge her years of festering resentment. Cutting Moments is one of those rare films that lives up to its hype. Its bleak, depressing atmosphere makes it comparable to Michael Haneke's Benny's Video or Seventh Continent, but with Tom Savini's gore. 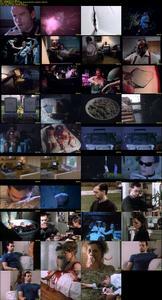 0 Response to "Cutting Moments (1997) (and 4 other short films) "